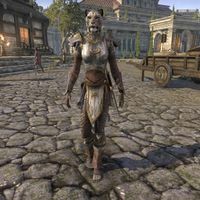 Fahana is a Khajiit outlaw who wanders around the western plaza in Anvil. She has no unique dialogue. This page was last modified on 18 July 2018, at 22:56.